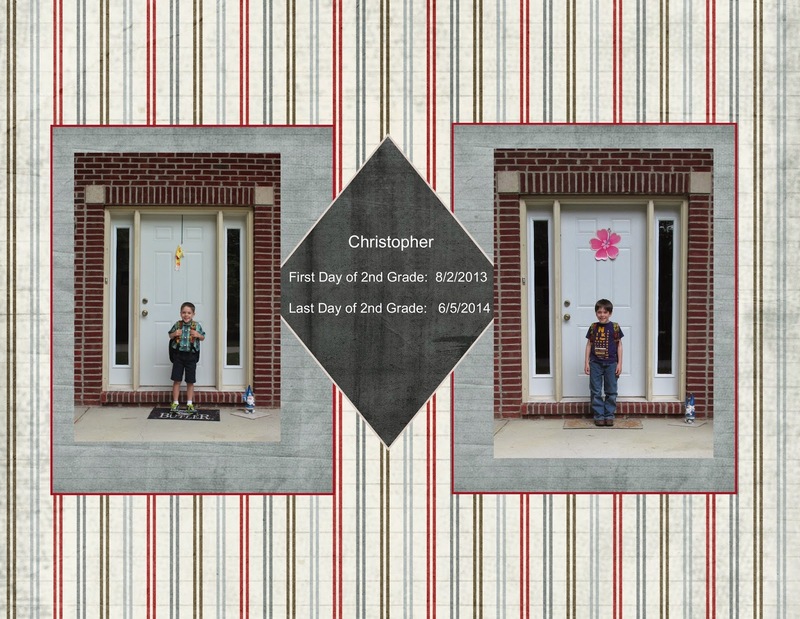 Thursday was Christopher's last day of second grade. They had an awards ceremony for the 1st and 2nd grade at 9, so we were a little late. However being late, we got a really excellent seat. We were on the floor right next to Chris and his class. It was hard however, for him to watch all the other kids get awards for things like Perfect Attendance, No Darts, or Best Athlete. It made him very sad that he wasn't getting any awards. But I told him it was not fair, they weren't giving out any awards, for Best Laugh, or Snuggliest Sweetboy. That made him smile again. So we went back to his classroom for a slideshow presentation from this year. The kids were so cute. Sam parked himself on the floor in front of the screen, and Jacob cruised around the room. He wants to be a second grader so bad. He was into everything. Christopher was so proud to have his brothers come visit. I love how much he enjoys having us come visit. Even on the last day. He wanted us to stay for lunch, but we opted not to, the littles were getting tired. So we came home, and chilled out, aka napped until Chris got home from school. Yup! It's official, he's a third grader now!